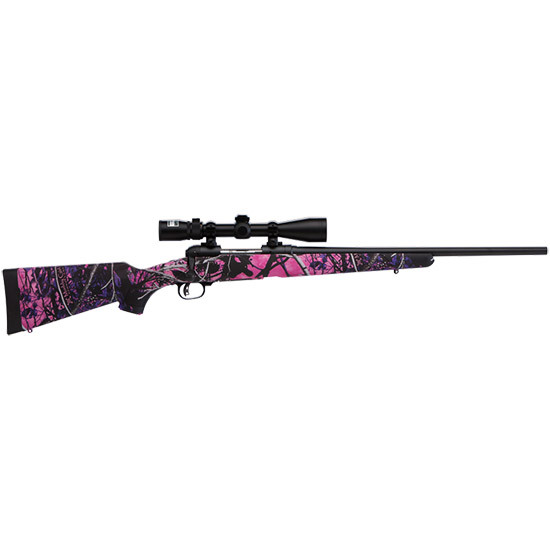 Savage 22206 11 Trophy Hunter XP Youth Bolt 243 Winchester 20 4+1 Synthetic Muddy Girl Stk Black in. The 11 Trophy Hunter XP Youth is a bolt action rifle that is perfect for hunting or target practice. This model features a mounted and boresighted Nikon 39x40 wBDC reticle detachable box magazine and a synthetic Muddy Girl Camo stock. The black 20 barrel is made of carbon steel and the AccuTrigger makes it easy to adjust weight of pull."